DefenCell MAC® is a new range of protective welded mesh metal gabions lined with geotextile and supplied in several standard sizes. 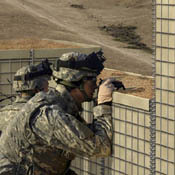 DefenCell MAC� gabions are filled with earth, sand or other locally available fill materials and provide ballistic protection, blast mitigation and HVM vehicle barriers. 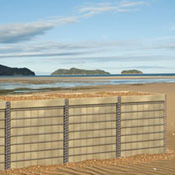 MAC can also be used for environmental applications and is ideal for flood protection. 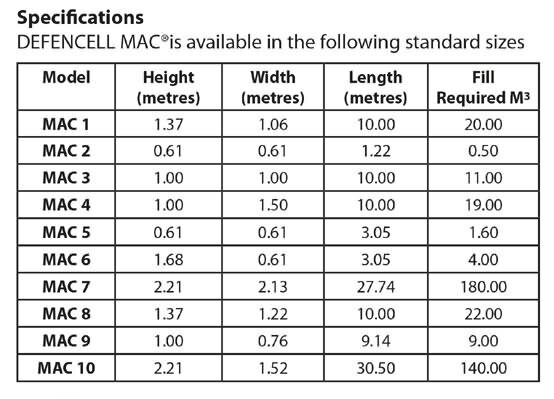 DefenCell MAC� is constructed using the highest quality materials to established and tested standards by Maccaferri, the world's leading manufacturer of gabion structures, using heavily galvanised welded mesh panels and corner coils combined with a heavy duty geotextile lining material created from UV resistant polymer fibre using the same advanced technology as the proven DEFENCELL fabrics. 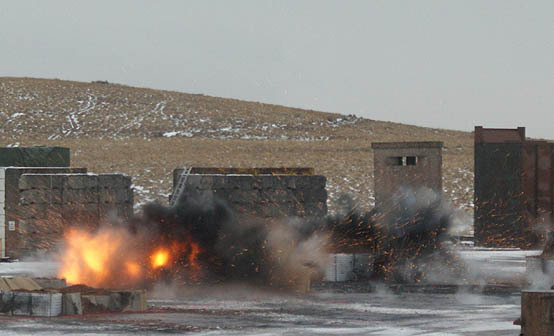 The products have been tested against a wide range of ballistic threats and different explosive charges, and meet the protection requirements of STANAG 2280. 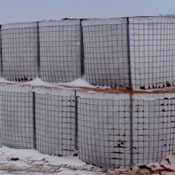 DefenCell MAC� gabions are supplied pre-assembled in a range of standard sizes, folded for shipping and are easy to deploy by pulling open, positioning and filling. 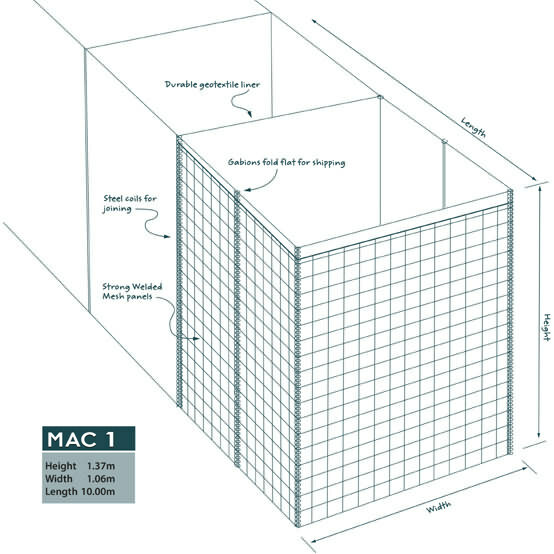 Click here for the DefenCell MAC Gabions leaflet (pdf).